Mobile development may have just gotten quite a bit easier. Codename One is a free and open-source platform that allows developers to write an app once and have the code translated into native code for all of the major mobile platforms. Codename One had been in beta, but now it's out of beta and fully ready to use. 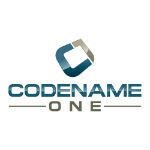 The company says that Codename One has been downloaded 100,000 times and has been used to create over 1,000 apps, which may not sound like a good proportion, but Codename One says that it is “one of the fastest growing toolkits of its kind”. Codename One is a Java-based platform which asks developers to write the code once in either Eclipse or NetBeans, and more importantly, developers need to build all of the different app components from scratch. This allows Codename One to avoid fragmentation issues with any mobile platforms. From there, Codename One translates the code into the native code of each platform, rather than HTML5 which is what other toolkits tend to do. So, on iOS the Java code will be translated into native C/Object C code and compiled using Xcode. Obviously, Eclipse wouldn't need to be translated for use on Android, but Codename One also translates code for use on Windows Phone and BlackBerry. Does Codename One translate pure Android code to other platforms, or are you required to code against their Android libraries which themselves have been translated for other platforms? I suspect the latter. Nop, CN1 is a Java Based framework that implements LWUIT, it takes the generated java bytecode and translated it to binary compatible for iOS, RIM, WindosPhone and J2ME (feature phones). The results are very good quality Native Apps, the "write once, run anywhere" is on mobile pltaform again thanks to Codename One.. I have testing this framework from two months ago and the results are very good, rapid development and cross platform. Many details to improve and grow, but today is the first official release. This is great.. Soon there won't be a practical excuse left for leaving out any app from any platform! It would've been better a toolkit for coding with Objective-C and translating to Java and C#, considering the best quality apps on iOS, specially for the iPad. Anyway, these "translating suits" will never substitute direct native programming, their scope is still limited. I'm hoping this means more apps for windows phone! this is interesting! lets hope major devs will get this! cant wait to see temple run on WP and BB10!! !